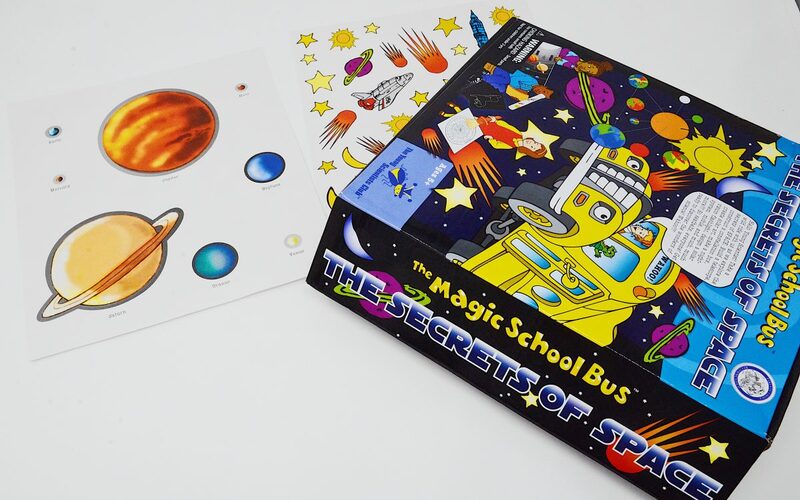 The Magic School Bus: The Secrets of Space is a hands-on educational kit all about space science. This product is recommended for ages 5 – 12 years. Spark your child’s interest in space and encourage learning by making a night-vision flashlight, designing a solar system mobile, and much more. This educational kit also includes an interactive space poster with sheets of planet and star stickers. 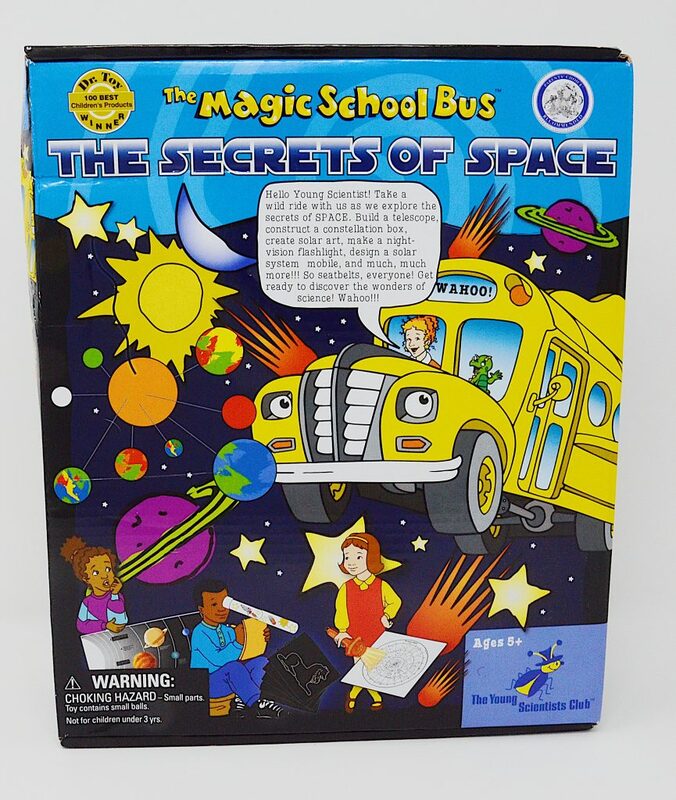 The Magic School Bus: The Secrets of Space kit is a product of the Young Scientists Club. The mission of The Young Scientists Club is – to offer children quality, science-related products that will fascinate them with the wonders of scientific discover and spark their interest in future scientific endeavors. 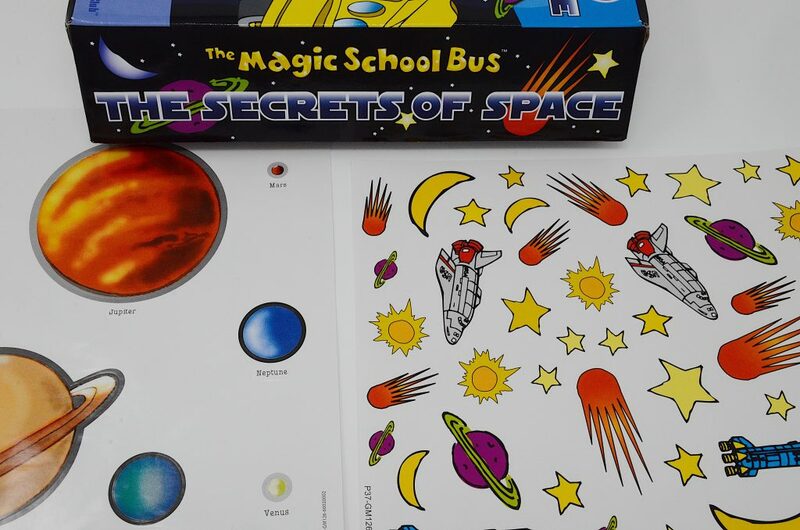 The Magic School Bus: The Secrets of Space is an educational kit that makes space science fun. This product encourages creative learning and is recommended for ages 5-12 years. This is a great product for any child interested in space science.